Korean beauty (or K-beauty for those in the know, like, say, you) is HOT. But even hotter? The major YouTube beauty stars and beauty experts who know everything–and we mean everything–about the best K-beauty products. We asked the geniuses behind MemeBox, the largest beauty e-commerce site in Seoul that just recently launched e-commerce for America (yay us), to introduce us to some of the names behind their amazing collaborations. We’re also sharing a couple of Korean vloggers we’ve got our eyes on. Trust: these are the K-stars to watch. 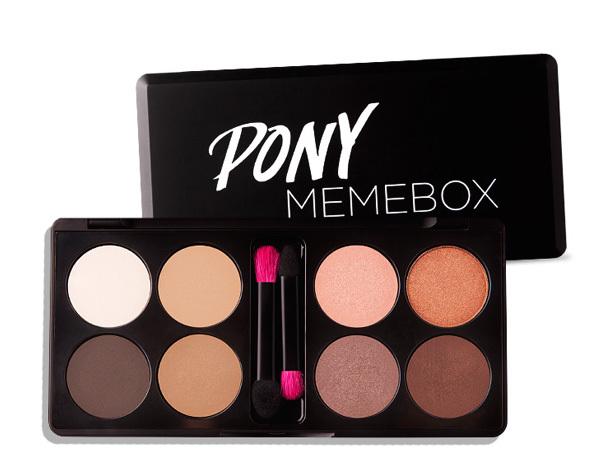 Pony was the first Korean YouTube star to work with Memebox on a label: The Pony x Memebox Easy Shine Glam Eyeshadow Palette contains 8 colors and sold 20,000 units within 40 minutes of being released onto the market! Woah. Rest assured, there will be more makeup and skincare collaborations with Pony! Check out more of Pony’s videos here. Cho Sung Ah isn’t a vlogger, but according to MemeBox, she’s Korea’s makeup artist to the stars–her classic styling has helped create Asian cultural icons since the early ’90s. Through her Beauty Academy, Cho Sung Ah is directly and indirectly responsible for many unique looks in Korean movies or shows. Her stacked resume includes MAC’s first collaboration with a Korean makeup artist, numerous awards and several product lines. If you hear or see her name, pay attention. Cho Sung Ah collaborated with Memebox to create The Chosungah x Memebox Get! Peachy Glow Pact, a Correction Cream specifically manufactured to brighten skin and reduce wrinkles. It can be used as makeup base or highlighter, creating a luminous sheen for all complexions, erasing fatigue and adding volume to saggy skin. Lisa Pullano is a US-based makeup artist and vlogger with expertise in beauty, style and DIY methods. MemeBox says Lisa is an authority on Korean cosmetic trends, particularly lip care products, which she showcases through her Beauty Splurge channel. She worked with Memebox to create her own special edition Memebox, featuring her fave items like this strawberry macaron lip balm. Watch more of Lisa’s videos here. SoothingSista is a rising YouTube fashion and beauty vlogger based in San Francisco, CA. MemeBox says she creates stunning looks using products from all over the world, and shows how Korean trends can be integrated into everyday beauty routines. Having just returned from Digital Fashion Week in Singapore, Stephanie is bridging the gap between US and Asian cosmetics. Stephanie recently collaborated with Memebox to create her own SoothingSista x Memebox Special Edition Box, to be released November 21, 2014–keep your eyes out! Watch more SoothingSista videos here. This Aussie-born Korean beauty guru known as “Meejmuse” now lives in South Korea, where she’s also a TV reporter (she does a segment for Arirang‘s Korea Today, called K-Style). Her site is chock full of great info, reviews and giveaways. Watch more of her videos on her YouTube channel. Jung Saem Mool is one of the biggest makeup artists in Korea, and she recently did this beauty seminar with Google. All of her videos have English subtitles. Check out her YouTube channel here.